It’s finally July and we’ve happily packed away our jackets & boots for our shorts & sandals. First of all, our new website launched today and we couldn’t be more excited to share it with you! We’ve taken on a new design and would love to know what you think. Leave us a comment, email us, or share your thoughts on social! Enjoying Toronto and being tourists in our own city has been a blast these past few months. But we’re ready to get back in the air and visit a new destination. 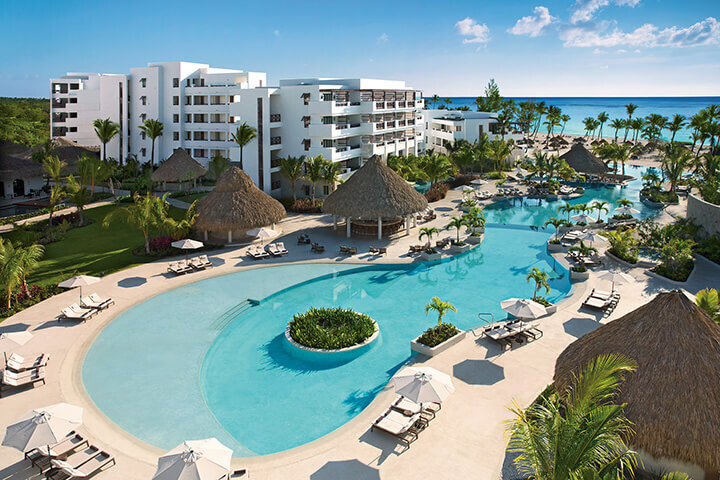 To kick off our latest adventures we’ll be visiting two new resorts in the Dominican Republic with Escapes.ca. While we’ve visited extraordinary places in the past, this will be our most epic adventure to date! We’ll be arriving at Now Onyx Resort & Spa first to enjoy their 5 pools and test out their 20 restaurants and bars. 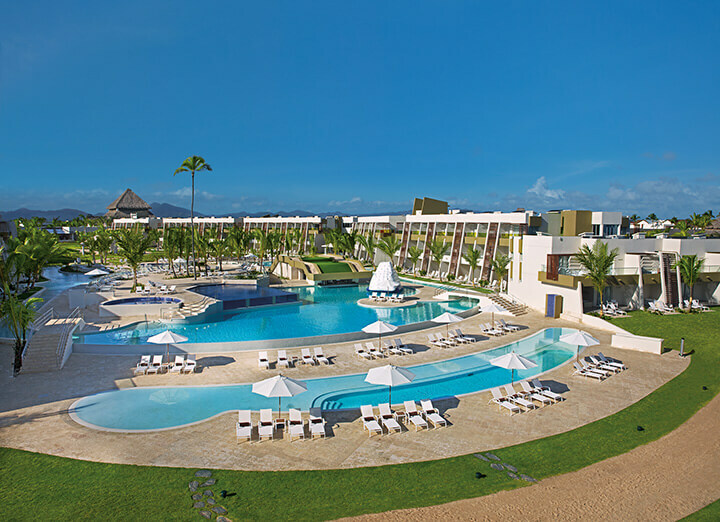 Not only is this resort stylish and modern, but it also grants you access to the Breathless Punta Cana next door. 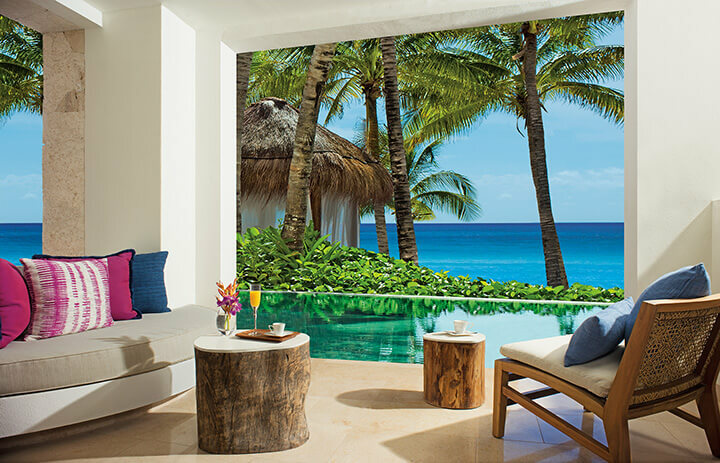 Who doesn’t love a ‘bonus’ adults-only luxury resort? Both resorts are set on a remote, palm-filled beach facing the Atlantic Ocean. 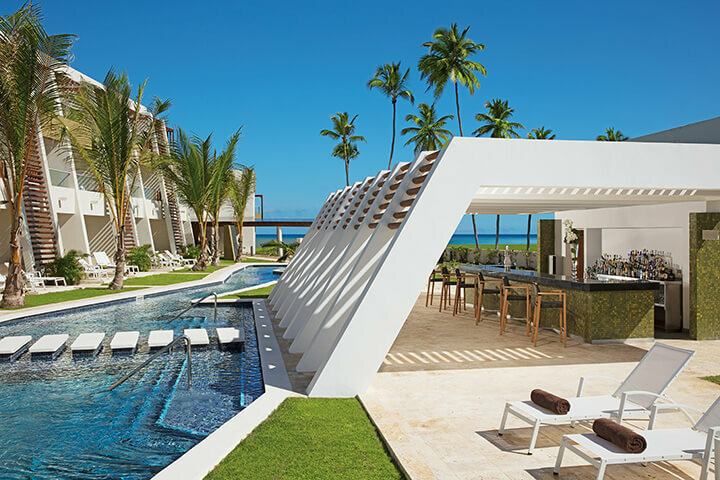 Next, we hit up Secrets Cap Cana Resort & Spa, an adults-only luxury resort nestled in a piece of paradise next to Juanillo Beach in Punta Cana. During our stay, we’re celebrating Kristins birthday and you can tune into the festivities live on Facebook, Instagram, or Twitter. Get ready for all the cocktails, cake, and birthday surprises! Since we’ll be in Punta Cana, we’ll be exploring their history, their gorgeous waters and participating in a fun excursion. More details to come! Finally, we’ll be filming full room tours at each location along with daily posts of our adventures on social media. We plan on covering everything else from activities to food. But our questions is … what do you want to know? Tell us in the comments below what YOU want us to share about these gorgeous new resorts! *All photos contained in this post are courtesy of AmResorts … ours are coming soon!!! I’m planning a family vacation with my husband and 11yr old daughter. I’m looking for upscale, luxury, beautiful beach and great food. Do you think Now Onyx will be great? What is your best family resort in the Caribbean? So wonderful to hear that you’re taking the family with you on vacation Nicola! We think Now Onyx will be great for you and the family. I’ve emailed you directly with a few more suggestions too!